As a little kid, I remember getting my hair cut about once a month. Actually, I grew up in the 70's so it was probably not quite that frequent. My dad used to take me to places that had the traditional red, white, and blue, rotating barber pole. Those establishments were manly places where guys could hang out on a Saturday morning and shoot the breeze while they were getting their haircut. Over time, it became less common to see these "guy's barbershop" so I started getting more haircuts at some of the more popular chains or salons. Several years ago I noticed signs around town for a $7 haircut at Craig's Cuts. I decided to give them a shot and I was surprised at how quick and affordable it was. The first couple locations I went to seemed kind of bare bones and were not very fancy, but the haircuts were affordable, and the girls who cut my hair did a great job. I've watched this company grow over the years where they now have at least 6 locations in Utah County that I am aware of and the most recent one I went to was next to the Cinemark Theaters near Costco in Orem and is a really nice facility. Several of the stylists who have cut my hair have indicated that they like working there because they make more than they did at bigger chains where they had previously worked. I'm a little baffled how a business that charges so little for their service can pay their employees better, yet be growing like they are. It's either a ponzi scheme or a good business model. 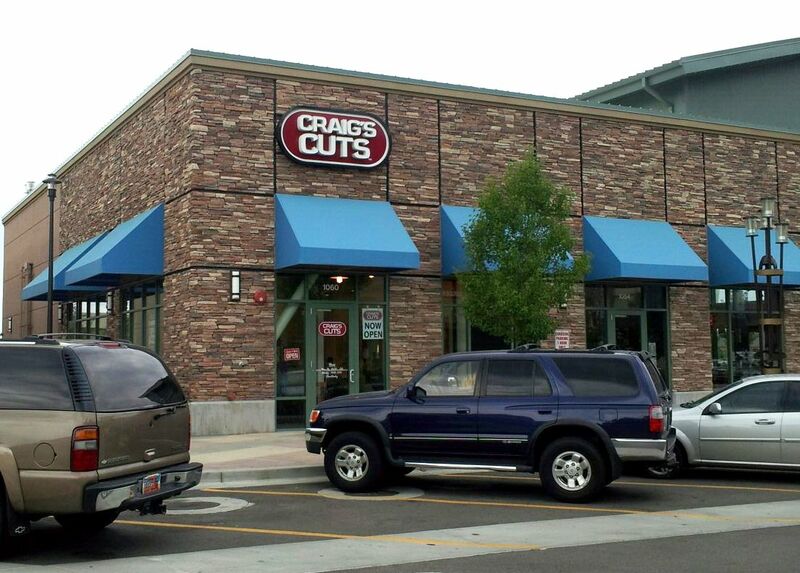 Craig's Cuts also offers a water bottle, warm towel, and a short neck and shoulder massage with each haircut. I kind of think the massages that some hair cutting places give after they cut your hair are almost amount to teasing since they are so short, but I figure I'm paying for a haircut not a massage, so I can't really complain. I understand that some people are very particular when it comes to their hair so I am a little hesitant to recommend any hair cutting establishment since every experience will vary depending on your stylist. A good haircut eventually boils down to the attitude and skill of your stylist. That being said, if you are looking for an affordable haircut, then I suggest you give Craig's Cuts a shot. You can visit their site at Craig'scuts.com.